Today, Everything Epic is proud to announce the launch of the pre-order for their new expansion for the critically acclaimed Big Trouble in Little China: The Game, Legacy of Lo Pan. Priced at $39.95, fans of the core Big Trouble in Little China game are invited to secure their copy, with a free Six Demon Dice Bag as a pre-order bonus. The expansion is slated to release in late March, 2019. "Creating a board game based on our favorite film was an amazing experience, but being able to add to the lore by creating new stories in that universe is even more exciting." said Boris Polonsky, co-designer of Legacy of Lo Pan. "We got to introduce new characters and events in this expansion, and I can't wait for fans to play though the new story." 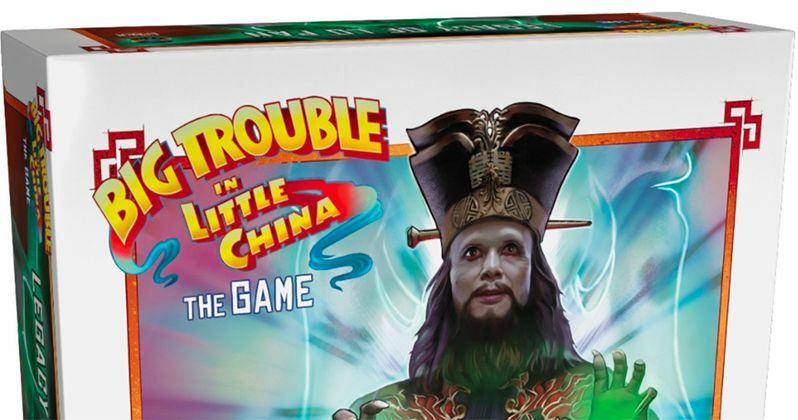 Legacy of Lo Pan, the Expansion to Big Trouble in Little China: The Game is available for pre-order now, Secrets of the Lost Station & Rambo: the Board Game will be coming soon for pre-order Q1 2019!